New Library Website is Here! After months of planning, gathering feedback, and migrating hundreds of pages of content, the Library is proud to announce our new website. The site has been redesigned and rebuilt to make it easier to find the resources and services you need. The new lib.uconn.edu features a responsive design that has been designed to work on all devices, so whether you’re on a phone, tablet, or computer, you’ll be able to find whatever you need. The homepage features information about upcoming library events and news, and the navigation bar expands to provide quick access to key services and resources, no matter where you are at on our website. 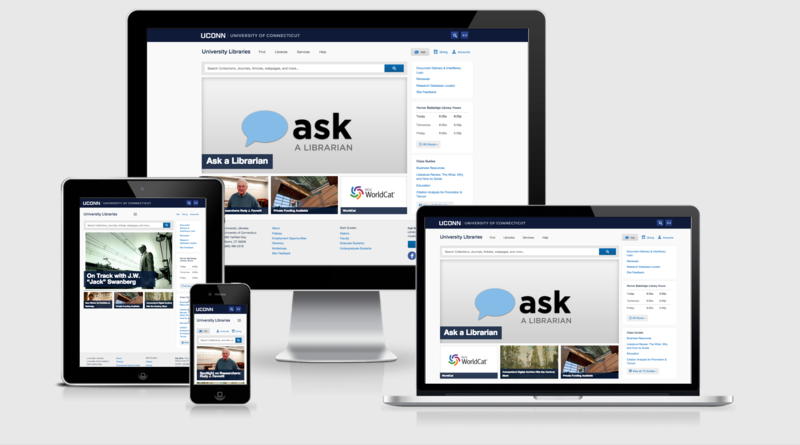 We are incredibly excited about the release of the new lib.uconn.edu, and we want to hear what you think.